The endless cities of Tokyo and Osaka, the famous temples and shrines of Kyoto and Nara; this is the Japan everyone is familiar with. But did you know that not far from these places, another Japan exists? This is Yamagata prefecture, a beautiful old part of Japan, where nature, culture and history come together in harmony. Come visit Yamagata prefecture, where we still follow the traditional way of Japanese life. 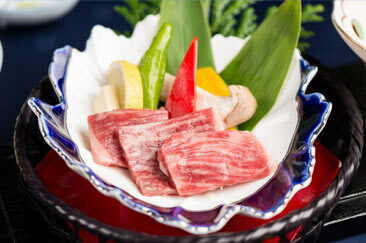 Premium wagyu beef such as Kuroge and Yonezawa and fresh seafood from the Sea of Japan. A collection of historic temple buildings nestled in the steep mountainside. 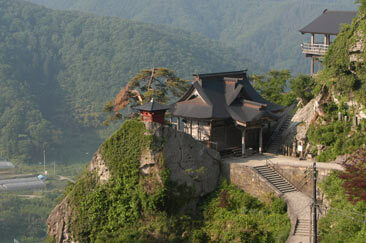 Built in the year 860, these are sacred mountain temples and one of the landmarks of the Tohoku Region. Scale the 800 steps of the stone path up the mountain while being surrounded by rich nature such as 100-year-old gingko trees and enjoy the beauty of the seasons. One of the Three Mountains of Dewa, the center of mountain worship in Japan.Its five-story pagoda and surrounding 300-year-old ancient cedar trees are registered as a national treasure and were awarded three stars by the Michelin Green Guide Japon. One of the Three Mountains of Dewa, the center of mountain worship in Japan. 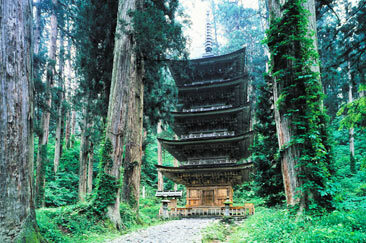 At an altitude of 1500 meters, on the bank of a mountain stream stands the secluded shrine of Mount Yudono. A huge brownish colored rock from which a hot spring upwells is worshipped as the god of the shrine. 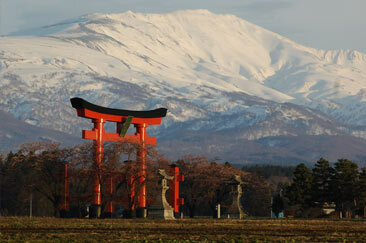 This mountain is the symbol of nature worship that originated the faith of Japanese people. Built on the Yonezawa Castle grounds, this shrine is dedicated to the famous Japanese warlord Uesugi Kenshin. 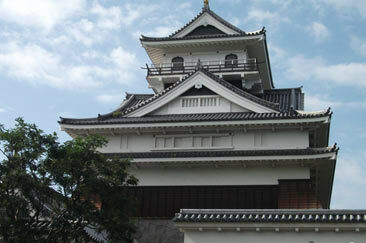 Its impressive moat is reminiscent of the historical era. 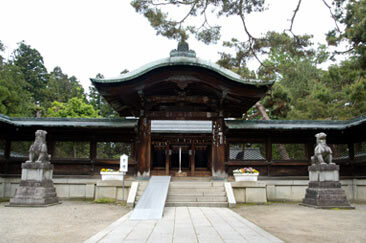 After passing the gate of the shrine, visitors arrive at the main hall surrounded by majestic cedar trees. Many people visit the shrine to pray for good luck and the fulfillment of wishes, believed to be granted by Uesugi Kenshin. This beautiful corridor style brick building was erected in 1916 as a Yamagata prefectural office building and assembly hall and is a famous remnant of western-style architecture. 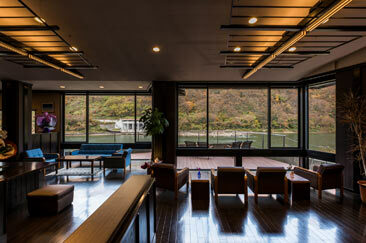 Currently, it’s open to the public and entrance to view its luxurious interior decoration is free. 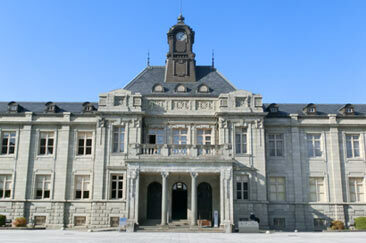 This magnificent castle is known as the “Castle of Ushu”. In 1982, a faux reconstruction of the original keep was built to serve as a local history museum. 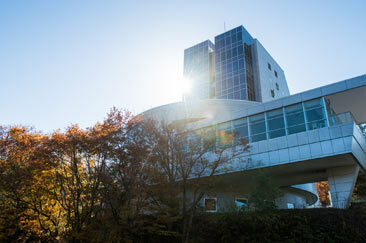 Seasonal exhibitions of artifacts such as hina dolls and armor or sword exhibitions are held here. 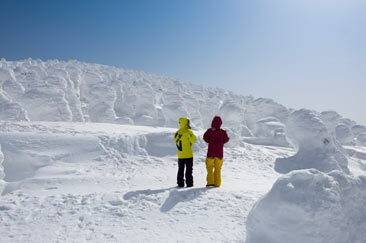 These trees which grow to full size while snow and ice build-up on them are called “snow monsters”. Countless lines of these monsters create a splendid landscape forged by Mother Nature. 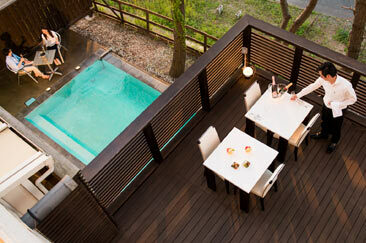 You can take a ropeway to the center of the forest to fully enjoy the view of the trees. 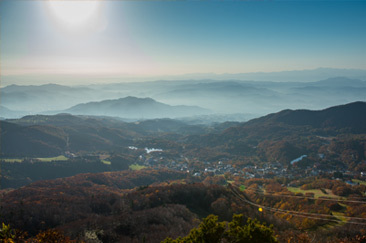 Taking the ropeway, you can admire the beautiful nature and the fall colors of Zao, not just during the winter months. Enjoy trekking and exploring the beautiful lakes and primeval beech forests of the central plateau, accessible by the Zao Central Ropeway. One of Zao’s popular scenic spots; voted most beautiful volcanic lake in the world. Gaze down at the stunning scenery as the color of the lake’s emerald green surface changes depending on the weather. 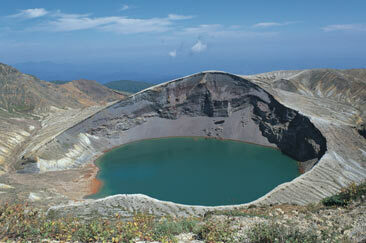 The crater resembles a kettle (“okama”) used for cooking, hence the name. The scenic backdrop for the TV series “Oshin”. 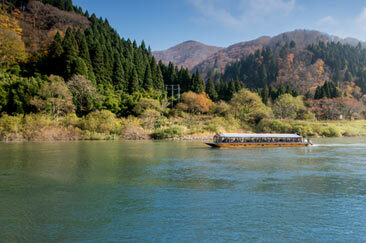 The valley the river runs through is called “Mogami Valley” and a boat cruise down the river is popular with visitors. 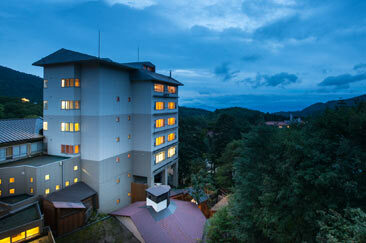 You can enjoy a picturesque view of the surrounding mountains, which change their colors with the seasons. 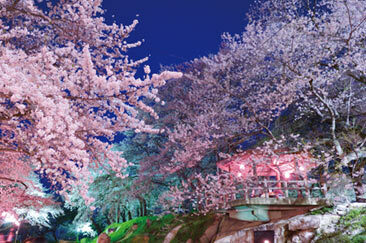 Enjoy the view of a thousand cherry trees in bloom, turning the mountainside a gorgeous pink color. See them illuminated at night and experience a magical atmosphere. The cherry trees spread all through the Eboshiyama area, a popular visitor’s spot called the „Okitama cherry tree corridor”. 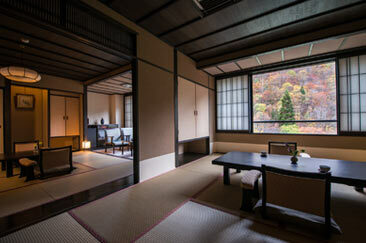 This teahouse is a reconstruction of the old Soma-ya, a landmark of Sakata since the Edo period. 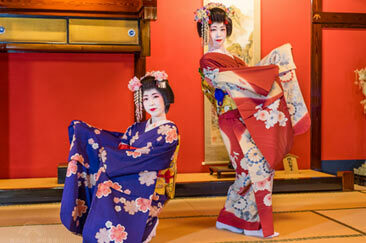 The spacious banquet hall on the second floor is a popular spot to enjoy dinner and the dance performance of the Sakata Maiko. Pieces of fine art such as hina dolls and Yumeji Takehisa paintings on display add greatly to the historic atmosphere and beauty of the place. 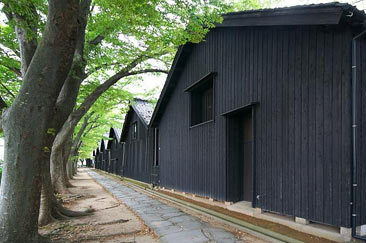 Built in 1893, this traditional storehouse for rice served as the setting for the popular TV series “Oshin”. Constructed as a low-temperature storehouse by the people of the past who knew how to utilize nature, it still functions as an agricultural warehouse today. Visited by many tourists, the grounds house a product promotion center, a museum of historical documents and a row of beautiful 150-year-old Japanese zelkova trees. 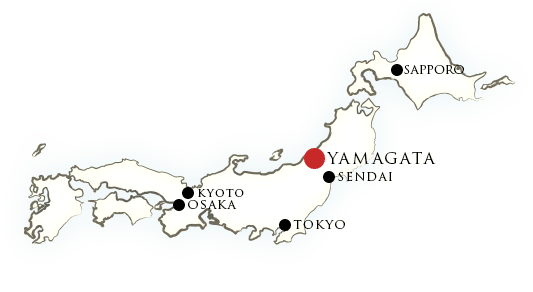 Yamagata is famous for its meat, such as the Yonezawa beef, one of the three most famous beef brands in Japan, along with Kobe and Matsusaka; and the soft, melty Yamagata beef. 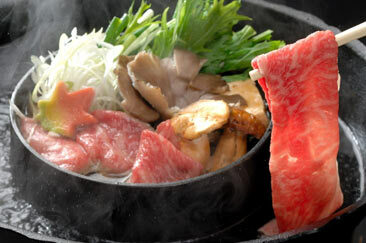 Enjoy the taste of delicious steak and Japanese specialties such as sukiyaki and shabushabu. 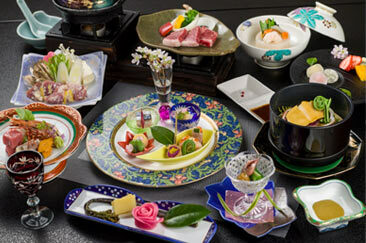 In the numerous historical inns of Yamagata, recipes for Japanese traditional dishes are handed down through generations. From artistic appetizers through sashimi prepared from pristine seafood to various meat dishes, there are many varieties of dishes to enjoy. 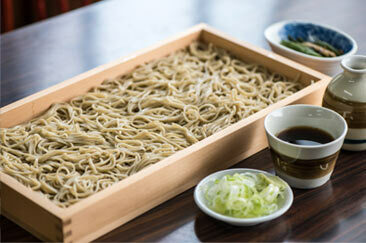 Buckwheat (soba) noodles are an essential part of Japanese cuisine. After grinding the buckwheat grains into flour, the dough is kneaded and cut into thin slices. 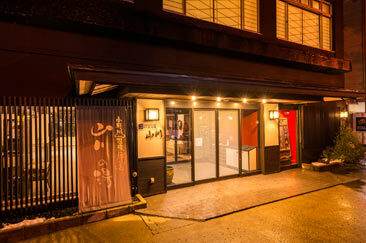 Yamagata has many famous soba restaurants and each and every one of them has its own special flavor, taste and relish. Hot pot or nabe is a unique Japanese dish, where ingredients are cooked at the table in earthenware or iron pots and usually shared with family or friends. In Yamagata, the most famous pot dish is called Imoni nabe. Ingredients and seasoning vary depending on the area, so you can fully experience the local flavors. 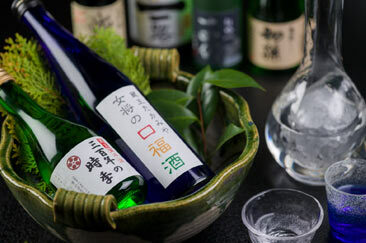 Traditional Japanese sake brewed with unique methods since generations Yamagata distilleries usually rank the highest at trade fairs in Japan and they produce the finest Japanese sake, characterized by a rich aroma and a deep, sweet taste. 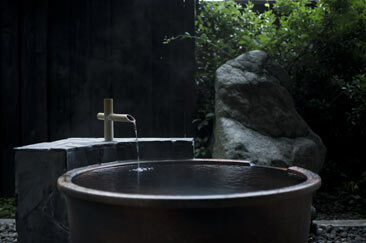 The Zao hot spring was discovered around 1900 and is the oldest hot spring in the Tohoku Region. 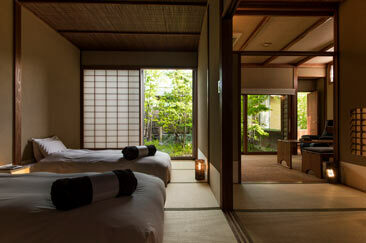 There is no better place to experience the “other Japan” and the harmony between nature, hot springs and old villages. 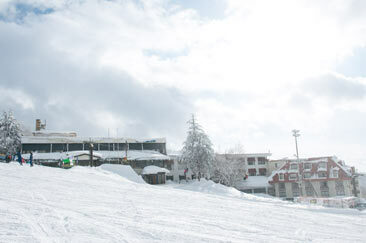 Zao Hot Spring is home to the famous rime covered trees, boasts ski slopes with abundant snowfall and many unique inns and hotels that make it the ideal place to visit in Yamagata. 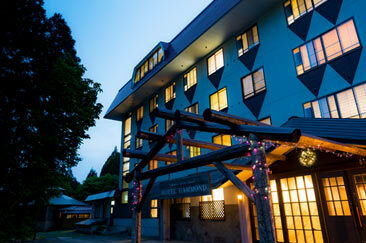 Besides Zao Hot Spring, the Takamiya Hotel Group manages six other accommodations. If you are traveling around Yamagata, plan your stay in one of these accommodations near the Mogami River with its gorgeous scenery, in Tsuruoka where food culture thrives, or in Yonezawa, the famous Japanese beef-raising area. 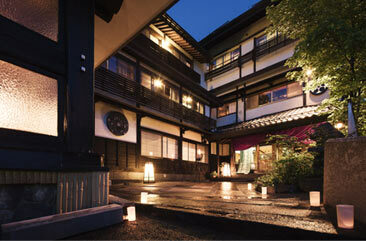 A hotel / traditional inn group managing five accommodations in the popular Zao Hot Spring area. Depending on your budget and preferences, you are free to choose between 300-year-old Japanese inns, resort hotels, hotels for long-term stay, etc.